Combining 100 years of manufacturing experience with close collaborations with professional artists, Royal Talens are able to deliver exceptional quality in their Rembrandt Pastel range. 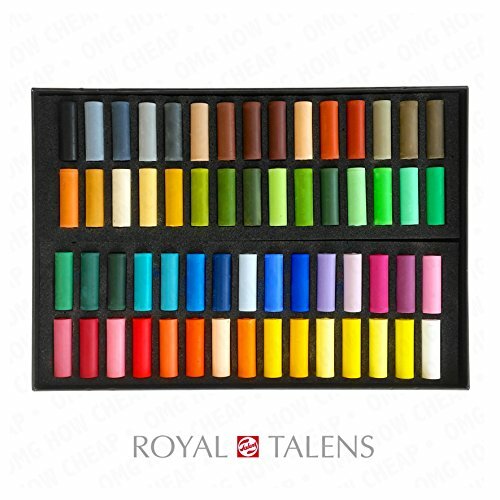 This exquisite set from Royal Talens features 60 half length soft pastels in a strong black tray. Featuring a uniquely high concentration of pigments, which makes for breathtaking colours and excellent coverage. Each pastel measures 35mm in length and 11mm in width. Free from lead, cadmium, and cobalt based pigments.